Born on 9 June 1640 in Vienna, Leopold received a careful education by excellent teachers. From an early age Leopold showed an inclination toward learning. He became fluent in several languages: Latin, Italian, German, French, and Spanish. In addition to German, Italian would be the most favored language at his court. Leopold was schooled in the classics, history, literature, natural science and astronomy, and was particularly interested in music, as was his father. Leopold had received an ecclesiastical education and was originally intended for the Church, until plans changed on 9 July 1654 when smallpox took his elder brother Ferdinand and made Leopold heir apparent. Nonetheless, Leopold's church education had clearly marked him. Leopold remained influenced by the Jesuits and his education throughout his life, and was uncommonly knowledgeable for a monarch about theology, metaphysics, jurisprudence and the sciences. He also retained his interest in astrology and alchemy which he had developed under Jesuit tutors. 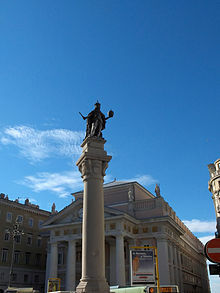 A deeply religious and devoted person, Leopold personified the pietas Austriaca, or the loyally Catholic attitude of his House. On the other hand, his piety and education may have caused in him a fatalistic strain which inclined him to reject all compromise on denominational questions, not always a positive characteristic in a ruler. Leopold's first war was the Second Northern War (1655–1660), in which King Charles X of Sweden tried to become King of Poland with the aid of allies including György II Rákóczi, Prince of Transylvania. Leopold's predecessor, Ferdinand III, had allied with King John II Casimir Vasa of Poland in 1656. In 1657, Leopold expanded this alliance to include Austrian troops (paid by Poland). These troops helped defeat the Transylvanian army, and campaigned as far as Denmark. The war ended with the Treaty of Oliwa in 1660. The Ottoman Empire often interfered in the affairs of Transylvania, always an unruly district, and this interference brought on a war with the Holy Roman Empire, which after some desultory operations really began in 1663. By a personal appeal to the diet at Regensburg Leopold induced the princes to send assistance for the campaign; troops were also sent by France, and in August 1664, the great Imperial general Raimondo Montecuccoli gained a notable victory at Saint Gotthard. By the Peace of Vasvár the Emperor made a twenty years' truce with the Sultan, granting more generous terms than his recent victory seemed to render necessary. Leopold refused to assent to the treaty, as he considered that his allies had somewhat neglected his interests, but in the following month he came to terms and a number of places were transferred from France to Germany. The peace with France lasted for about four years and then Europe was involved in the War of the Spanish Succession. The king of Spain, Charles II, was a Habsburg by descent and was related by marriage to the Austrian branch, while a similar tie bound him to the royal house of France. He was feeble and childless, and attempts had been made by the European powers to arrange for a peaceable division of his extensive kingdom. Leopold refused to consent to any partition, and when in November 1700 Charles died, leaving his crown to Philippe de France, Duke of Anjou, a grandson of Louis XIV, all hopes of a peaceable settlement vanished. Under the guidance of William III a powerful league, a renewed Grand Alliance, was formed against France; of this the emperor was a prominent member, and in 1703 he transferred his claim on the Spanish monarchy to his second son, Charles. The early course of the war was not favorable to the Imperialists, but the tide of defeat had been rolled back by the great victory of Blenheim before Leopold died on 5 May 1705. In governing his own lands Leopold found his chief difficulties in Hungary, where unrest was caused partly by his desire to crush Protestantism and partly by the so-called Magnate conspiracy. A rising was suppressed in 1671 and for some years Hungary was treated with great severity. In 1681, after another rising, some grievances were removed and a less repressive policy was adopted, but this did not deter the Hungarians from revolting again. Espousing the cause of the rebels the sultan sent an enormous army into Austria early in 1683; this advanced almost unchecked to Vienna, which was besieged from July to September, while Leopold took refuge at Passau. Realizing the gravity of the situation somewhat tardily, some of the German princes, among them the electors of Saxony and Bavaria, led their contingents to the Imperial Army, which was commanded by the emperor's brother-in-law, Charles, duke of Lorraine, but the most redoubtable of Leopold's allies was the king of Poland, John III Sobieski, who was already dreaded by the Turks. Austrian forces occupied the castle of Trebišov in 1675, but in 1682 Imre Thököly captured it and then fled from continuous Austrian attacks, so they blew the castle up, since then it is in ruins. They fled as supposedly Hungarian rebel troops under the command of Imre Thököly, cooperating with the Turks, and sacked the city of Bielsko in 1682. In 1692, Leopold gave up his rights to the property and he gave his rights to the property by a donation to Theresia Keglević. On 12 September 1683, the allied army fell upon the enemy, who was completely routed, and Vienna was saved. The imperial forces, among whom Prince Eugene of Savoy was rapidly becoming prominent, followed up the victory with others, notably one near Mohács in 1687 and another at Zenta in 1697, and in January 1699, the sultan signed the treaty of Karlowitz by which he admitted the sovereign rights of the house of Habsburg over nearly the whole of Hungary (including Serbs in Vojvodina). As the Habsburg forces retreated, they withdrew 37,000 Serb families under Patriarch Arsenije III Čarnojević of the Serbian Patriarchate of Peć. In 1690 and 1691 Emperor Leopold I had conceived through a number of edicts (Privileges) the autonomy of Serbs in his Empire, which would last and develop for more than two centuries until its abolition in 1912. Before the conclusion of the war, however, Leopold had taken measures to strengthen his hold upon this country. In 1687, the Hungarian diet in Pressburg (now Bratislava) changed the constitution, the right of the Habsburgs to succeed to the throne without election was admitted and the emperor's elder son Joseph I was crowned hereditary king of Hungary. Perhaps due to inbreeding among his progenitors, the hereditary Habsburg jaw was most prominent in Leopold. Because his jaw was depicted unusually large on a 1670 silver coin, Leopold was nicknamed "the Hogmouth"; however, most collectors do not believe the coin was an accurate depiction. Leopold I in costume as Acis in La Galatea (1667, by Jan Thomas van Ieperen). Archduchess Maria Antonia (1669–1692), who married Maximilian II Emanuel, Elector of Bavaria. The full titulature of Leopold after he had become emperor went as follows: "Leopold I, by the grace of God elected Holy Roman Emperor, forever August, King of Germany, King of Hungary, King of Bohemia, Dalmatia, Croatia, Slavonia, Rama, Serbia, Galicia, Lodomeria, Cumania, Bulgaria, Archduke of Austria, Duke of Burgundy, Brabant, Styria, Carinthia, Carniola, Margrave of Moravia, Duke of Luxemburg, of the Upper and Lower Silesia, of Württemberg and Teck, Prince of Swabia, Count of Habsburg, Tyrol, Kyburg and Gorizia, Landgrave of Alsace, Marquess of the Holy Roman Empire, Burgovia, the Enns, the Upper and Lower Lusatia, Lord of the Marquisate of Slavonia, of Port Naon and Salines, etc. etc." Hungarian Thaler of Leopold I minted in 1692. Latin inscription: Obverse, LEOPOLDVS D[EI] G[RATIA] RO[MANORVM] I[MPERATOR] S[EMPER] AVG[VSTVS] GER[MANIAE] HV[NGARIAE] BO[HEMIAE] REX; Reverse, ARCHIDVX AVS[TRIAE] DVX BVR[GVNDIAE] MAR[CHIO] MOR[AVIAE] CO[MES] TY[ROLIS] 1692, "Leopold, by the grace of God, Emperor of the Romans, Ever Augustus, King of Germany, Hungary, and Bohemia; Archduke of Austria, Duke of Burgundy, Margrave of Moravia, Count of Tyrol 1692"
Silver coin of Leopold I, 3 Kreuzer, dated 1670. The Latin inscription reads (obverse): LEOPOLDVS D[EI] G[RATIA] R[OMANORVM] I[MPERATOR] S[EMPER] A[VGVSTVS] G[ERMANIAE] H[VNGARIAE] B[OHEMIAE] REX (reverse):ARCHID[VX] AVS[TRIAE] DVX B[VRGVNDIAE] CO[MES] TYR[OLIS] 1670. In English: "Leopold, by the Grace of God, Emperor of the Romans, always August, King of Germany, Hungary, and Bohemia, Archduke of Austria, Duke of Burgundy, Count of Tyrol, 1670." ^ a b Joseph A. Biesinger; "Germany: European nations" in Facts on File library of world history. pg 529. ^ Coxe, William (1853). History of the House of Austria: From the Foundation of the Monarchy by Rhodolph of Hapsburgh, to the Death of Leopold the Second: 1218 to 1792. London: Henry G. Bohn. p. 515. ^ Das Königreich Ungarn: Ein topograph.-hist.-statistisches Rundgemälde, d. Ganze dieses Landes in mehr denn 12,400 Artikeln umfassend, Band 3, Seite 271, J.C. von Thiele, 1833. ^ Henryk Rechowicz: Bielsko-Biała. Zarys Rozwoju miasta i powiatu. Katowice: Wydawnictwo "Śląsk", 1971. ^ Thomas Noble. "Western Civilization: Beyond Boundaries". Cengage Learning. 2008. p. 507-508. ^ Anton Schindling. "The Development of the Eternal Diet in Regensburg". The Journal of Modern History 58 (December 1986). p. S69. ^ Dalberg-Acton, John Emerich Edward; et al. (1912). The Cambridge Modern History: Volume V: The Age of Louis XIV. New York: The MacMillan Company. p. 341. ^ (organization), Jstor (1892). "Musical times" (PDF). The Musical Times. 1892. Retrieved 2009-03-16. ^ Adler, Guido (1892). Musikalishe Werke der Kaiser Ferdinand III., Leopold I., and Joseph I.,. Vienna, Austria: Antaria & Company. This article incorporates text from a publication now in the public domain: Chisholm, Hugh, ed. (1911). "Leopold I. (emperor)" . Encyclopædia Britannica. 16 (11th ed.). Cambridge University Press. pp. 458–459. Frey, Linda; Frey, Marsha (1978). "A Question of Empire: Leopold I and the War of Spanish Succession, 1701–1715". Austrian History Yearbook. 14: 56–72. doi:10.1017/s0067237800009061. Frey, Linda; Frey, Marsha (1978). "The Latter Years of Leopold I and his Court, 1700–1705: A Pernicious Factionalism". Historian. 40 (3): 479–491. doi:10.1111/j.1540-6563.1978.tb01904.x. Kampmann, Christoph (2012). "The English Crisis, Emperor Leopold, and the Origins of the Dutch Intervention in 1688". Historical Journal. 55 (2): 521–532. doi:10.1017/S0018246X1200012X. Wikimedia Commons has media related to Leopold I, Holy Roman Emperor.